Mitsuko Hoshino works as the head chef at a globally-famous Michelin 3-star restaurant in Tokyo's posh Ginza district. She has won numerous top awards and has risen to rock-star like status in the culinary world with her impeccable palate and culinary talent. However, her world is turned upside down when she gets into a fight with the restaurant manager and loses her job. Even with her fame and skills, Mitsuko struggles to find a new work because of her extremely high pride and interference by the owner. Then one day, she stumbles upon a job for a TV show where she prepares school lunch for kids. 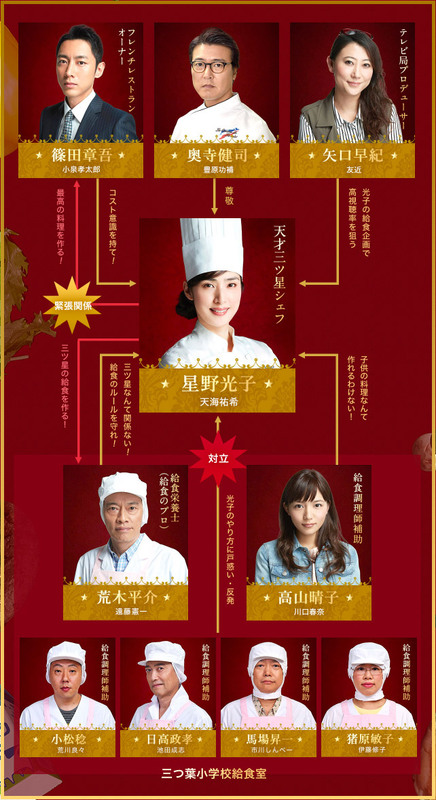 Due to various differences in making dishes for gourmet customers and for school students, things don�ft work out as expected and she even makes a series of rookie mistakes. But with her tough-as-nails attitude, she continues to strive to achieve what she's set out to do, which is to regain her star-chef status. Will the ex-celebrity chef succeed in redesigning school lunch and pleasing the kids' palate? Heart warming and feel good drama. 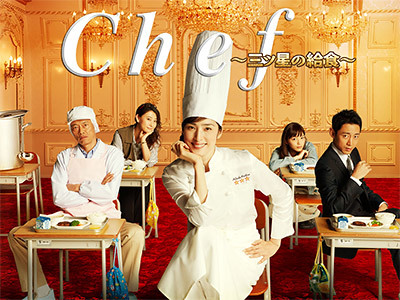 Only Amami Yuki can potray a strong, brave and inspiring role of the chef in this drama. It's great to see so many dishes that I can try to cook like onion gratin soup and spaghetti napolitan..all the foods look yummy I cant stop drooling.. The food looked real good, but the storyline was strictly leftovers.